California’s third largest city as the Silicon Valley’s urban hub. 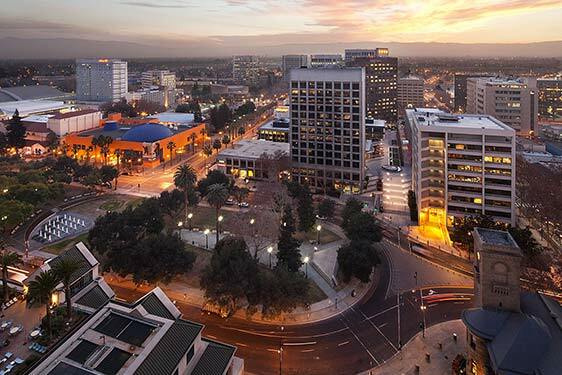 Downtown is packed with worthy destinations, like ultra-hands-on The Tech Museum, and light and airy San Jose Museum of Art. 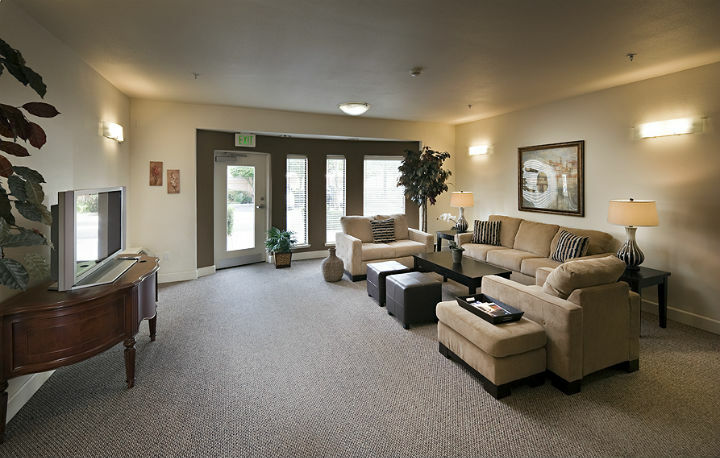 De Anza Hotel is an Art Deco gem, while the SAP Center, which draws headline entertainers and is home to the San Jose Sharks NHL franchise, is a glassy modern palace. 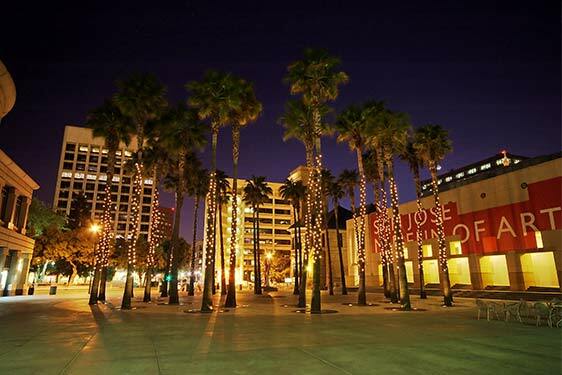 San Jose’s urban center is home to over 250 restaurants, 9 theater venues, numerous art galleries, museums and many unique festivals and special events. The safe, campus like core exemplifies the city’s reputation as one of the most walkable and bike-friendly cities in California. 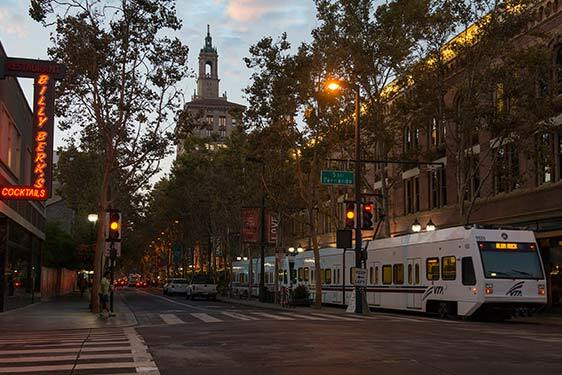 Several sections make up the downtown and you won’t want to miss the artsy SoFA District, the bustle of San Pedro Square or the Convention and Cultural District’s diverse performing arts offerings. From rooftop view and swanky hotel lounges to tons of live music, sports bars, and public art, the downtown is the true pulse of a city that loves to move colorfully to the beat of it’s own drum.